Daniel Ricciardo remained on top in FP2 as his Red Bull once again proved to be the fastest car around the streets of Monaco. Having topped the timesheets in FP1, Ricciardo, who scored the only pole position of his career in the Principality in 2016 - he repeated the feat in FP2 with a time of 1:11.841. 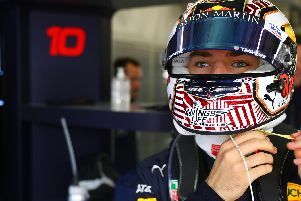 Team-mate Max Verstappen, second in the first session, wasn't far behind the Australian with a time of 1:12.035 - a similar time difference to the one he had in FP1. The Tilbrook-based Red Bull pairing were the class of the field again, comfortably clear of Sebastian Vettel, Lewis Hamilton and Kimi Raikkonen.